With the release of the first colorway for Kobe’s 11th (and final) signature shoe is the NikeiD custom release of the Nike Kobe 11. Numerous options appear on the Kobe 11, including a fade option on the Flyknit like that on the ‘Achilles Heel’ version, as well as an ascension graphic version on the upper. Interesting enough, you have a choice of three drop-in midsoles: full length Zoom Air, heel Zoom Air with Lunarlon on the rest of the sole, and just full length Lunarlon. 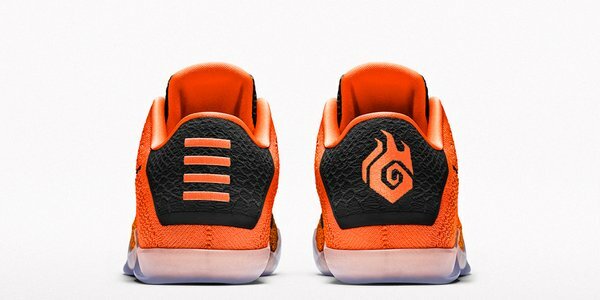 There are also 13 different symbols you can place on the heel, including Chinese characters as well as symbols for endurance, fire, leadership, etc. 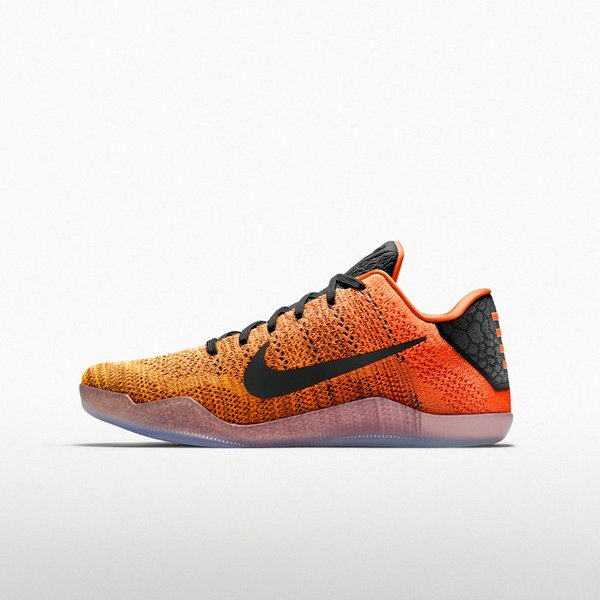 You can customize your personal Nike Kobe 11 for $245. Click HERE to start customizing your pair. Great. Literally took the Jordan 2012 and remixed it’s choose your flight concept . 11 Is the number! That full length zoom in lunarlon is so comfortable. you are talking about the full length zoom in lunarlon midsole on kobe 11 or lebron 11? It’ll be like the LeBron 11 so not as flexible as the notched versions on the other two midsoles. Ordering my pair today. Full length zoom air is a blast from the past. It’s the LeBron XI all over again, but without the “Squeaky Shoe” problem. I got to check out the kobe 11 at ftl today. Very snug fit. Also the fly knit seems like there is less glue behind it than the ten. Hey Nightwing will you be copping a pair of Kobe 11 ids with full length zoom? Is full length setup with lunarlon? For $20 it should be right? 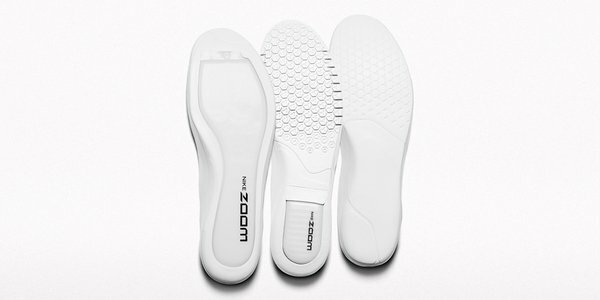 Anyone know what kind of foam they’re using for the full length zoom insole?